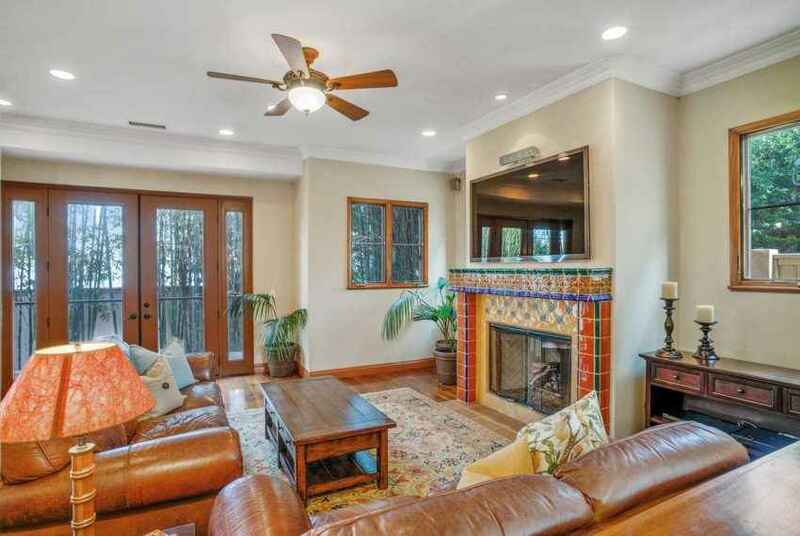 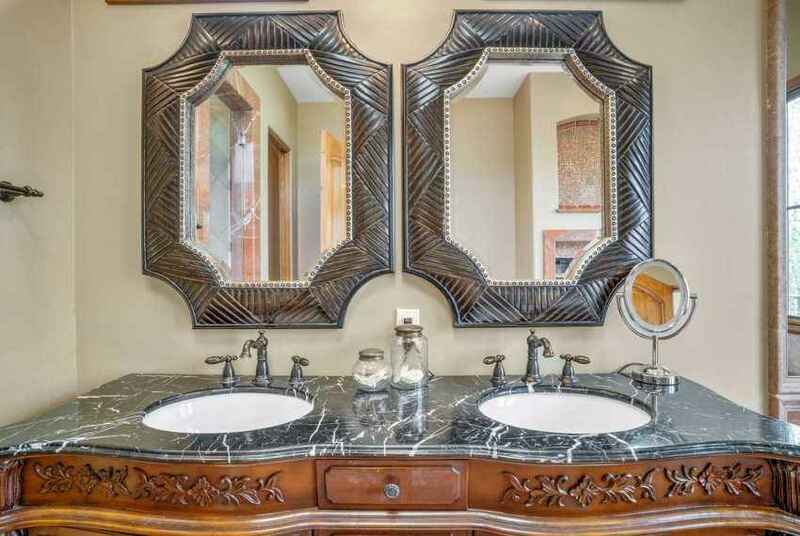 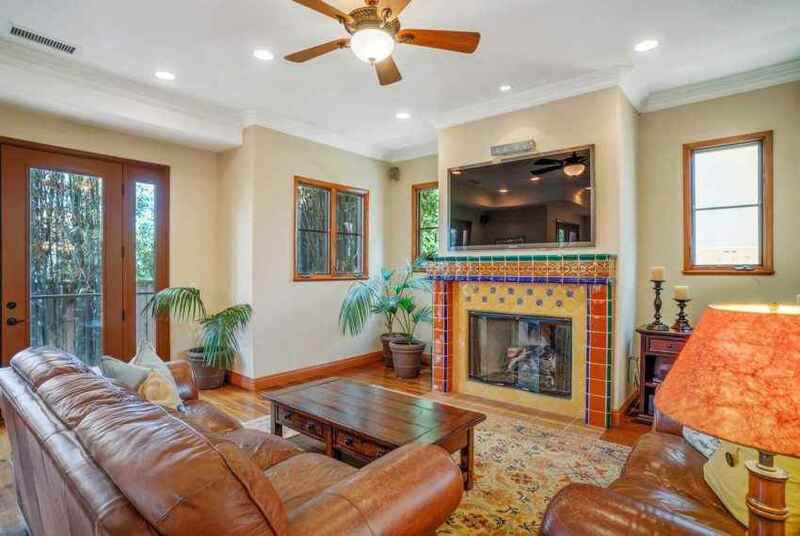 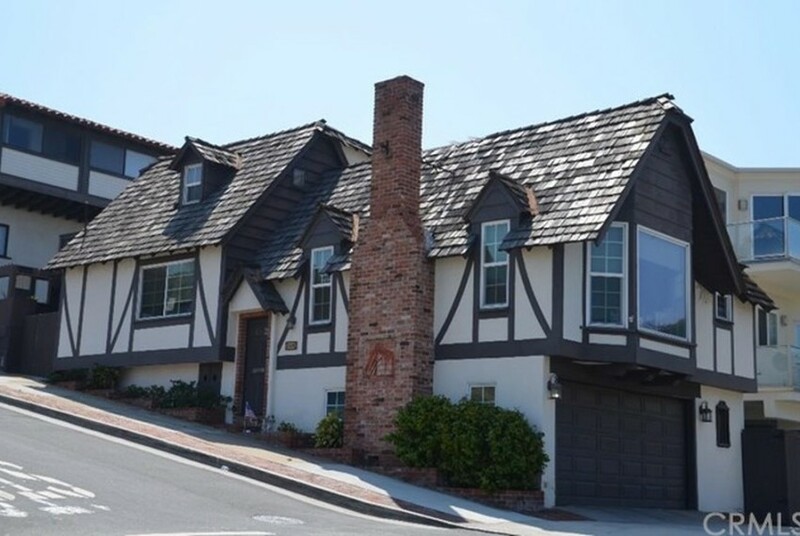 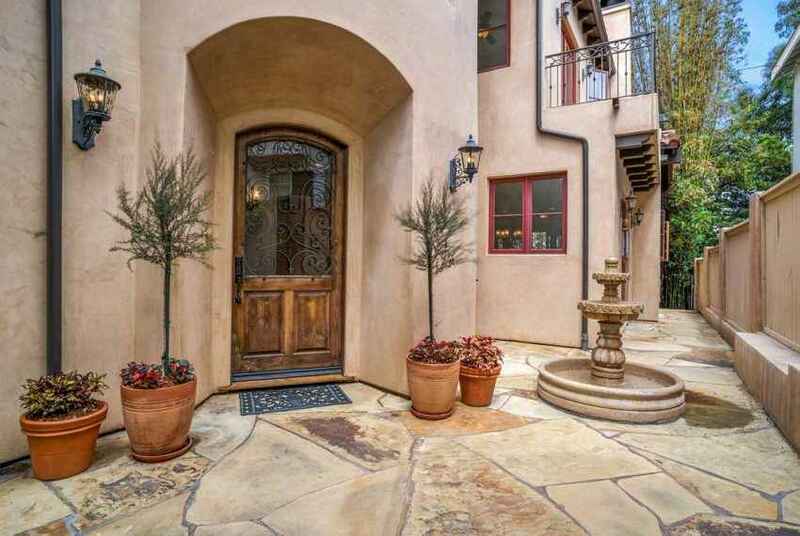 This spacious Spanish style home exudes old world uniqueness that makes daily living comfortably elegant. 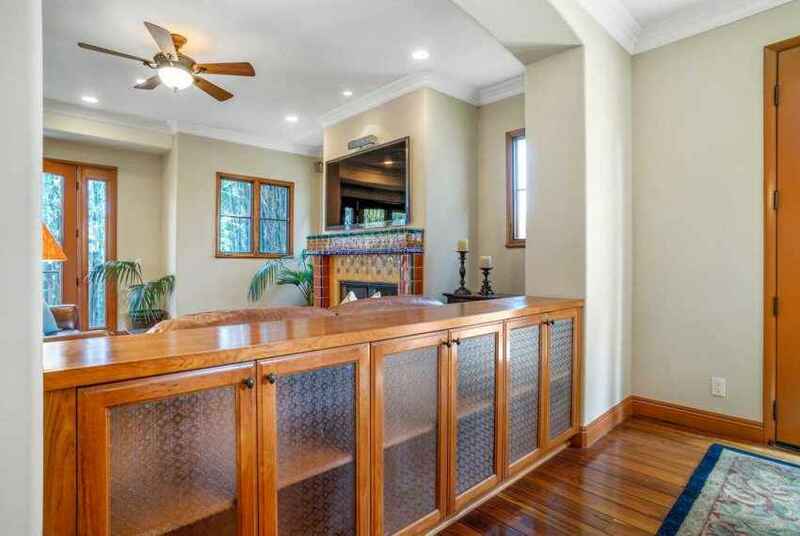 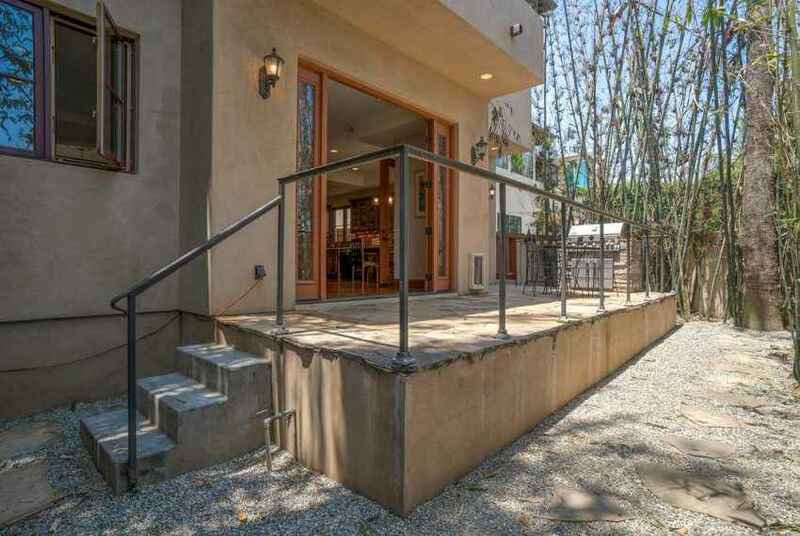 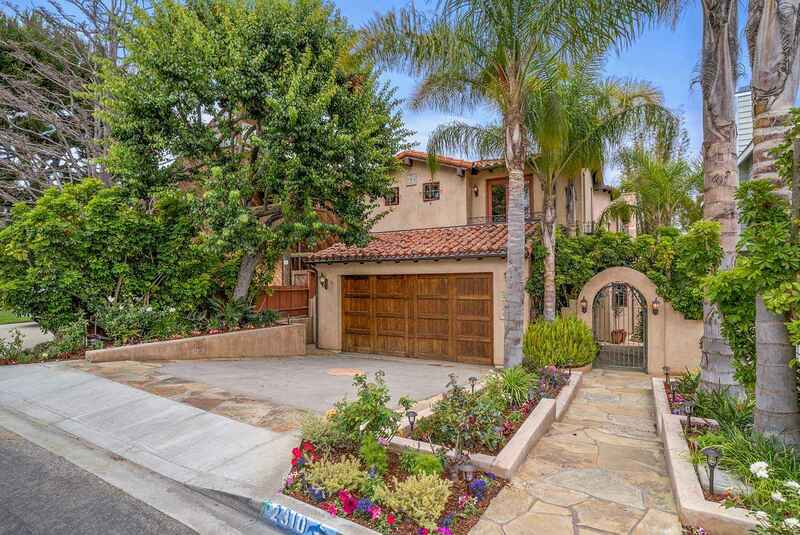 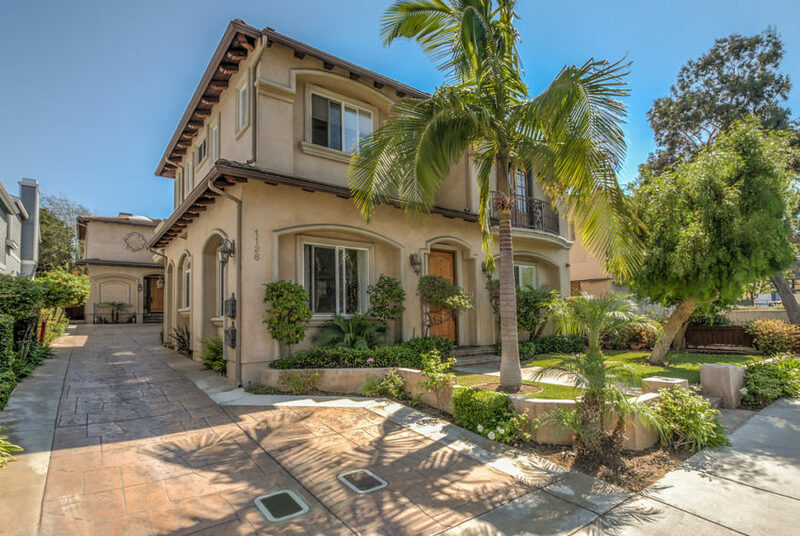 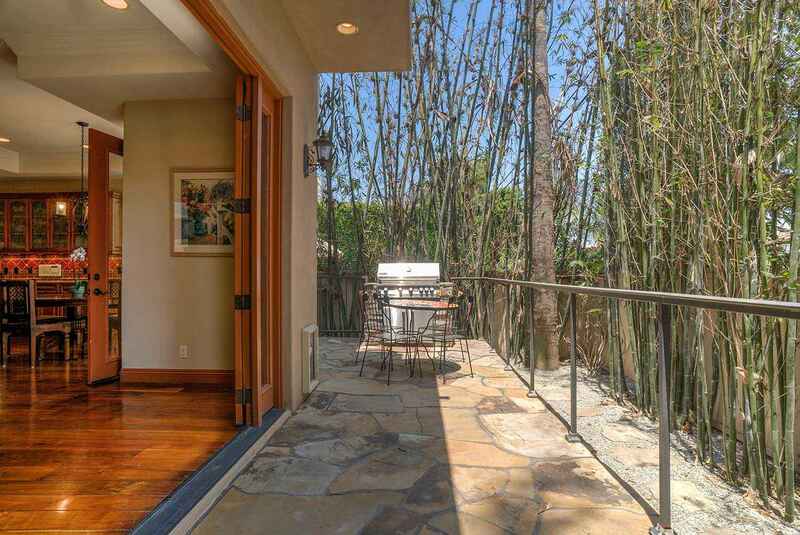 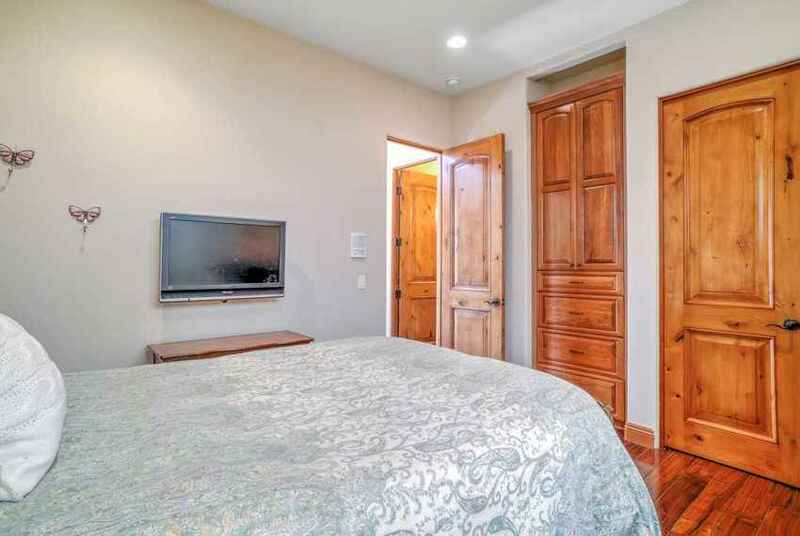 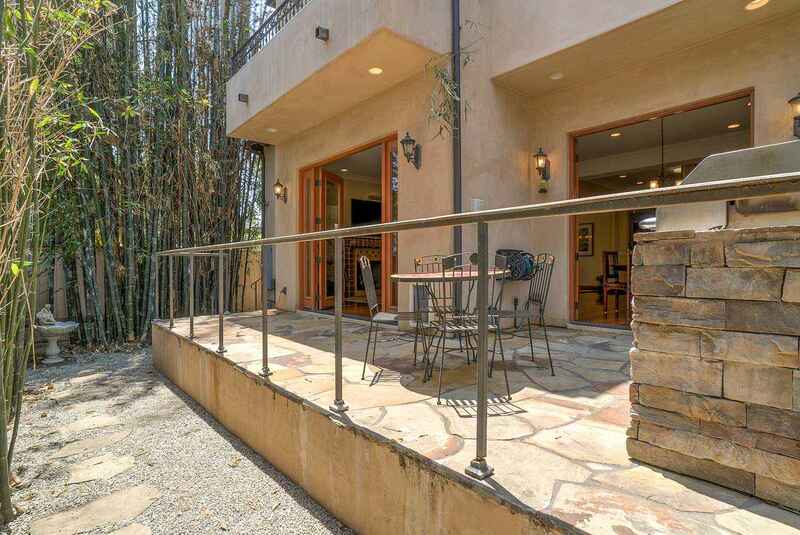 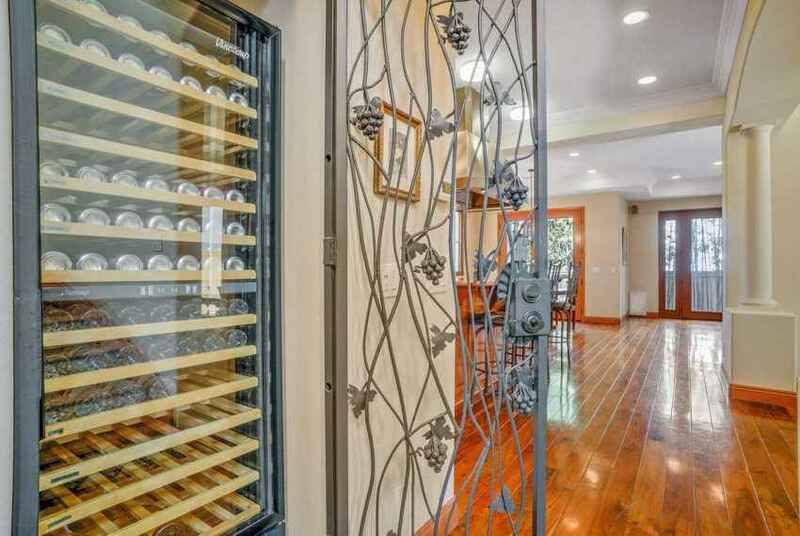 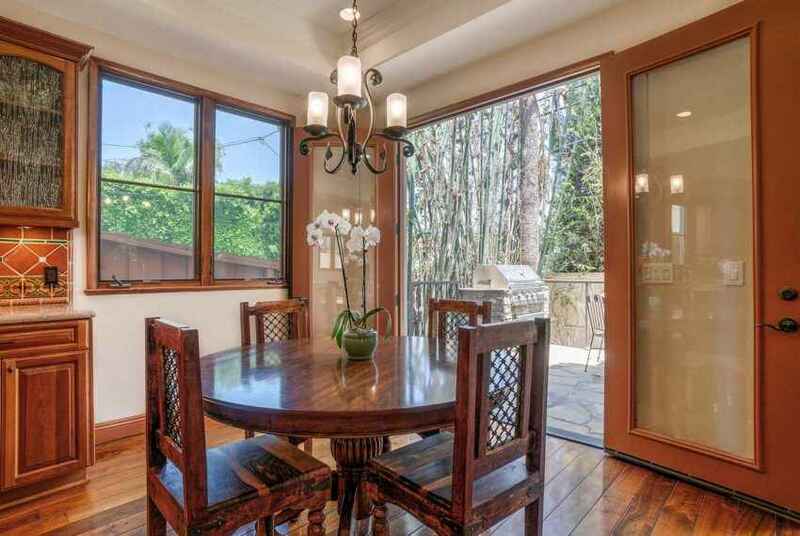 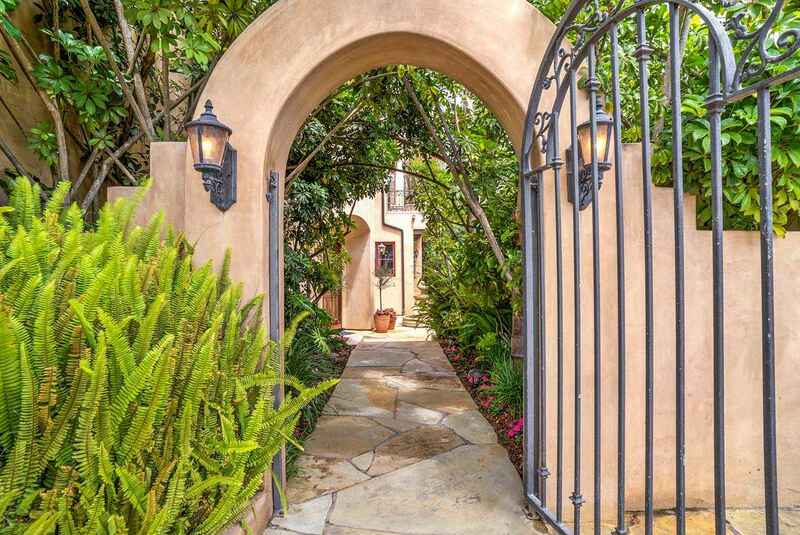 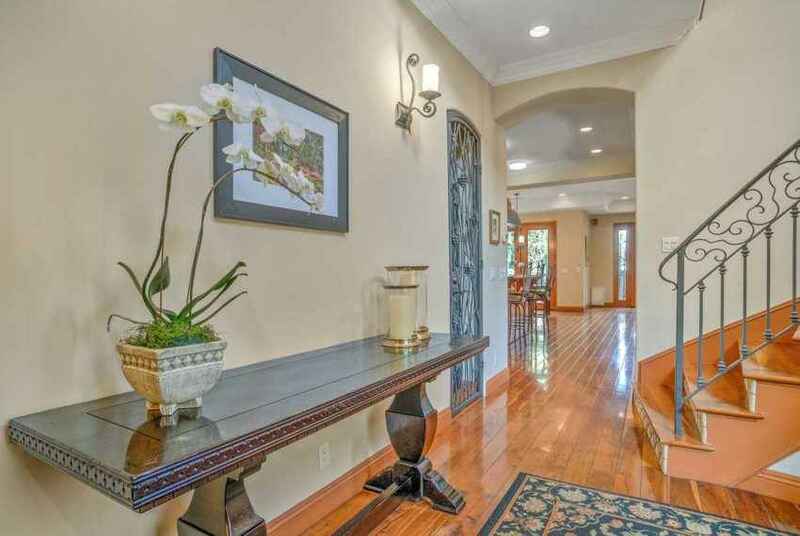 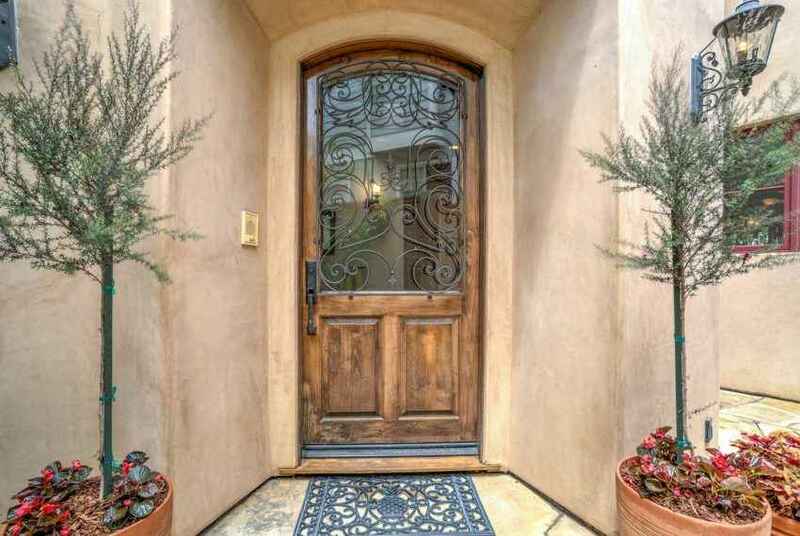 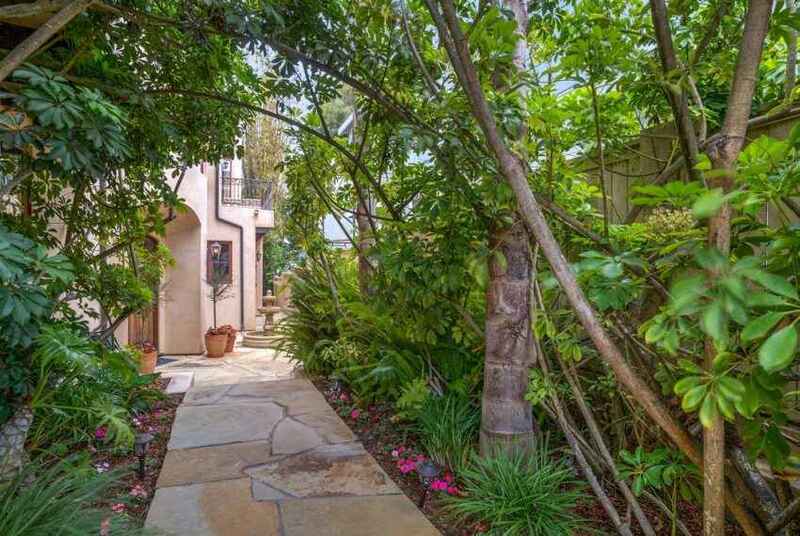 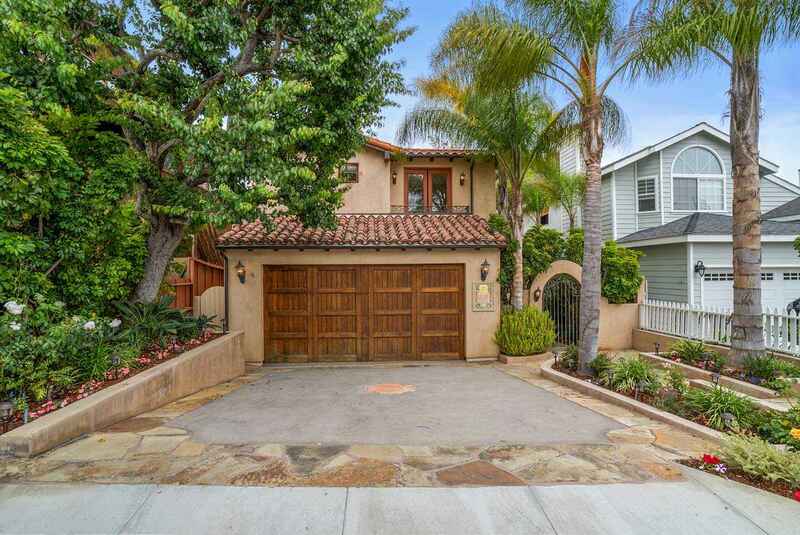 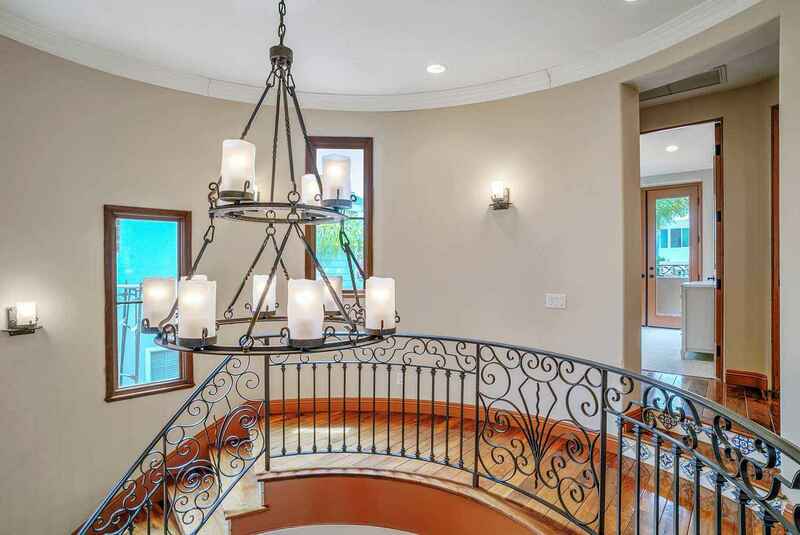 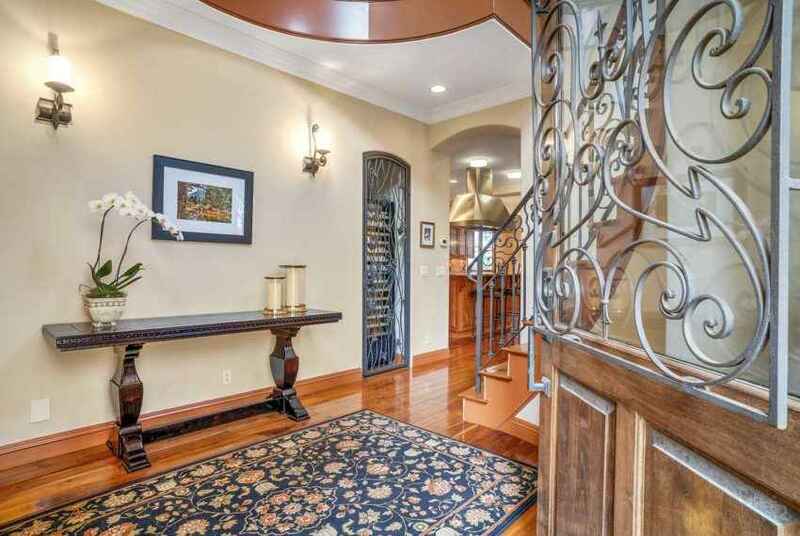 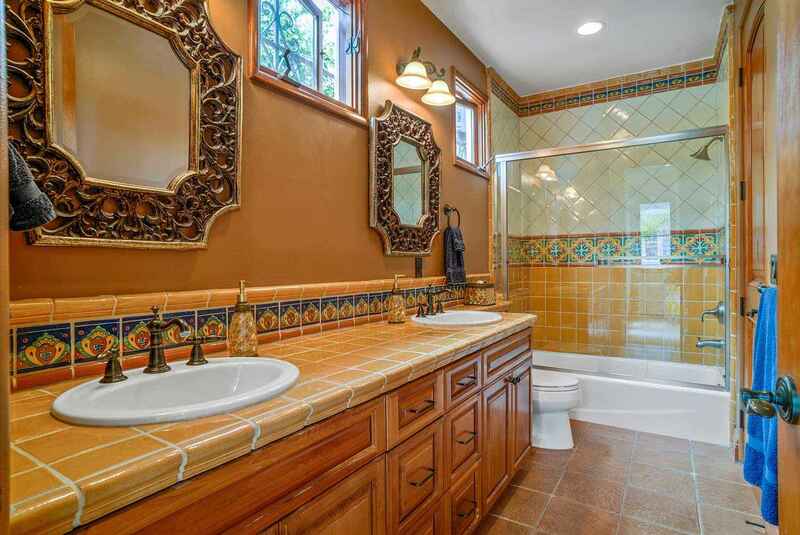 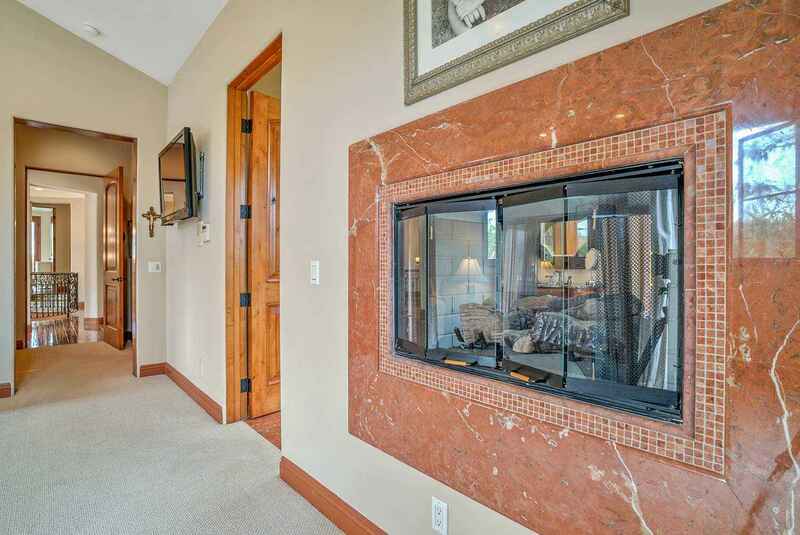 Step inside the majestic gated archway providing privacy to your lush sanctuary. 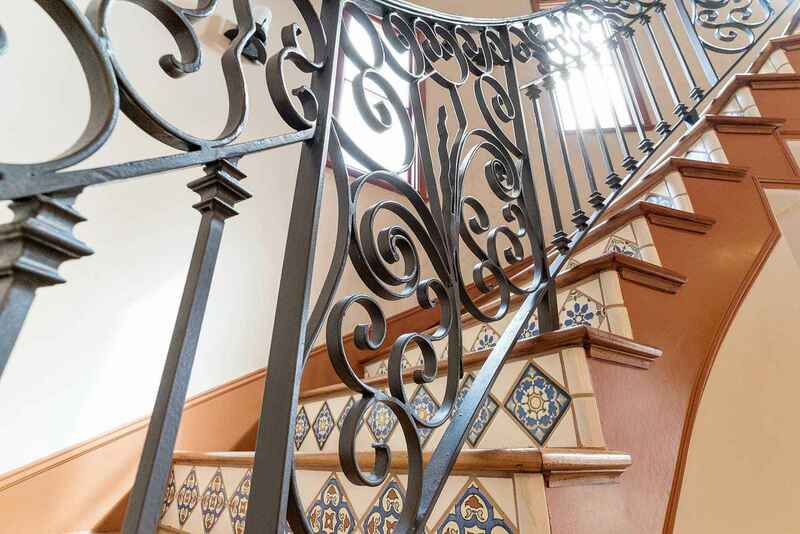 You are greeted by a stunning wrought iron door and circular staircase that is embellished with Mexican tile and warm wood flooring. 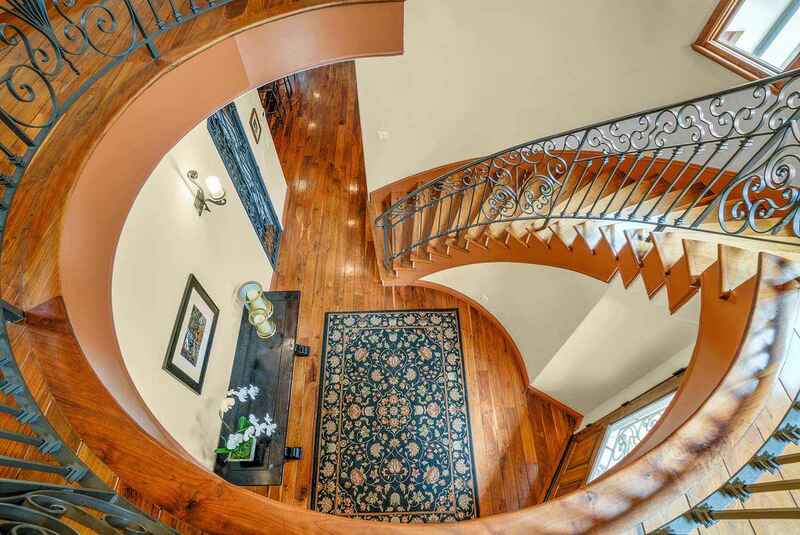 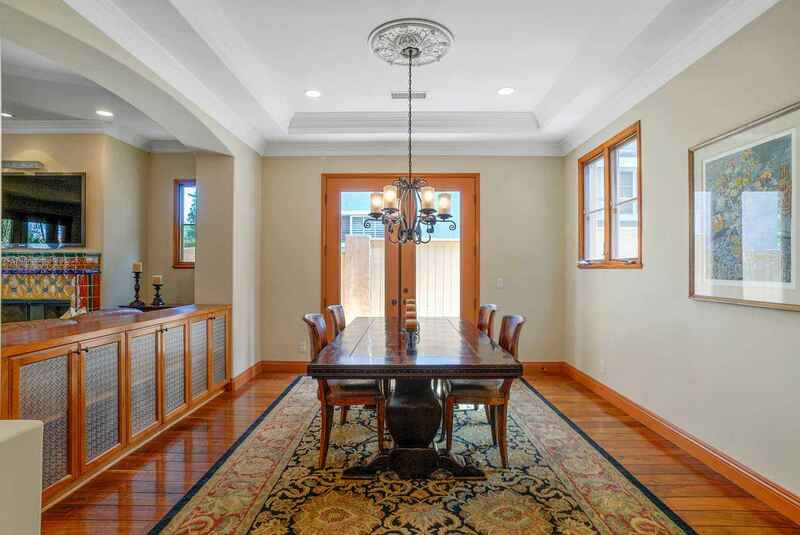 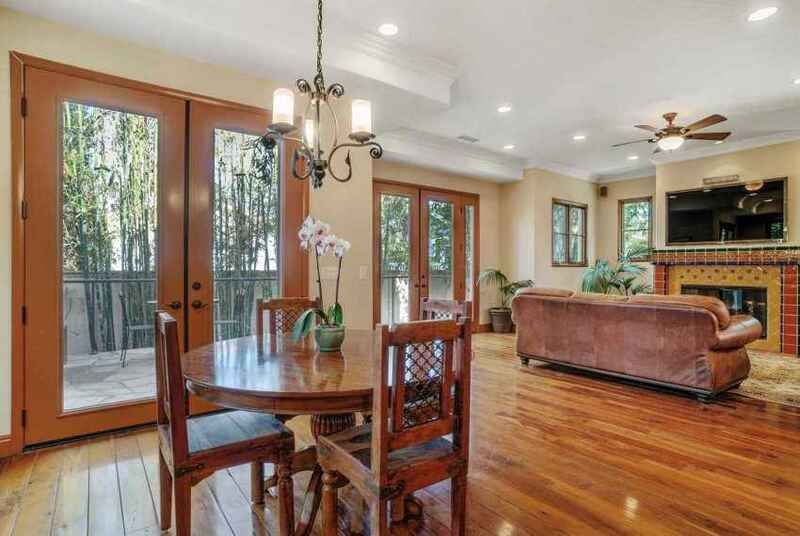 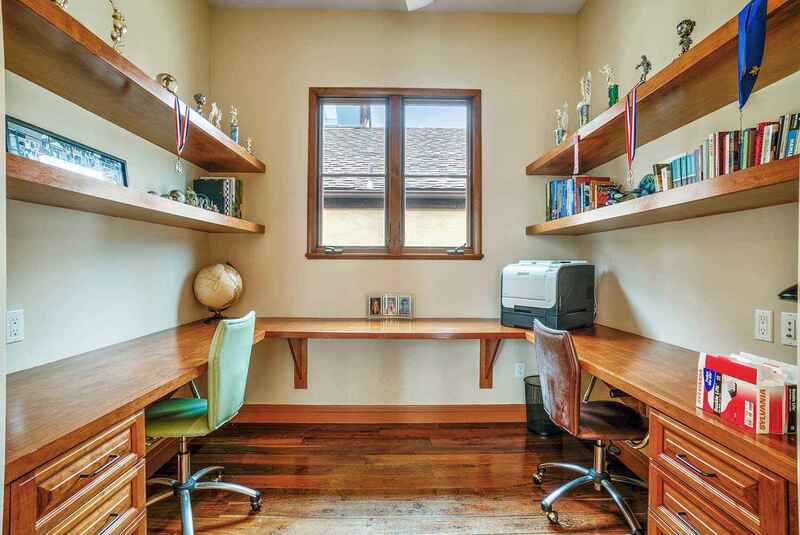 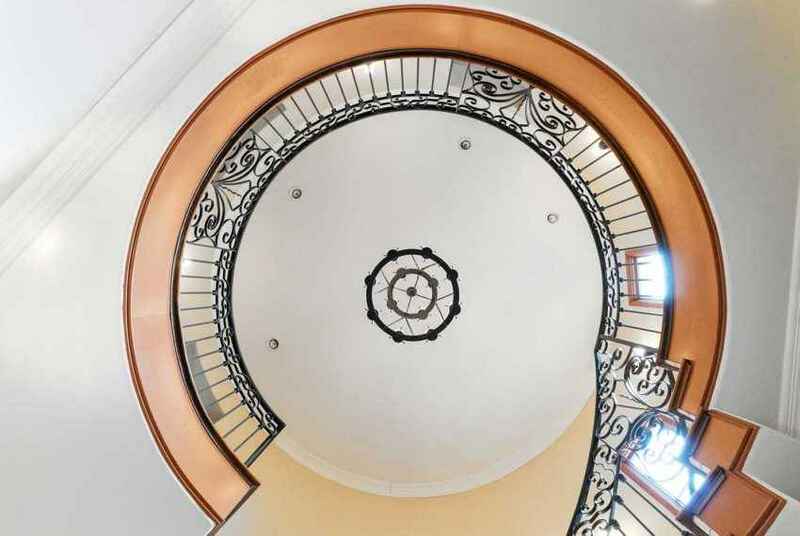 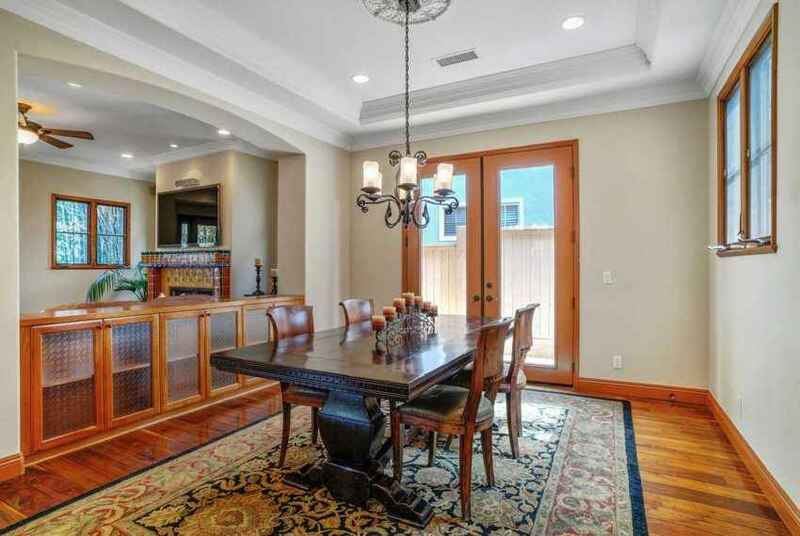 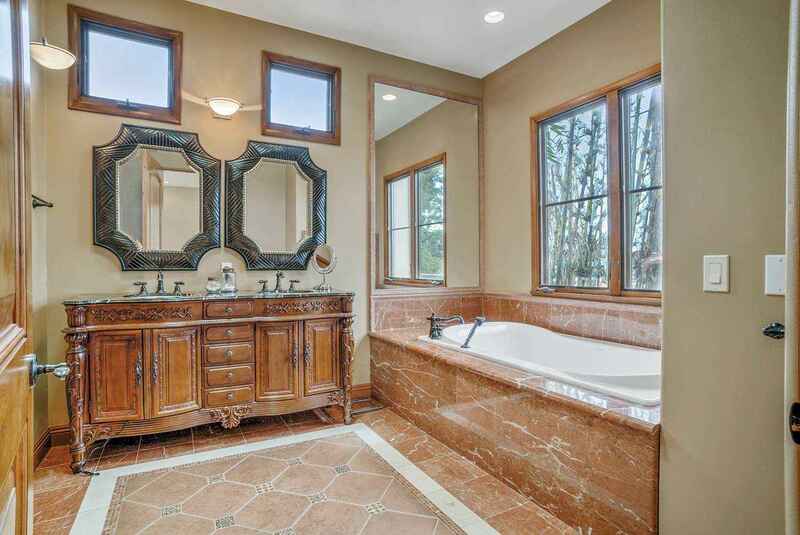 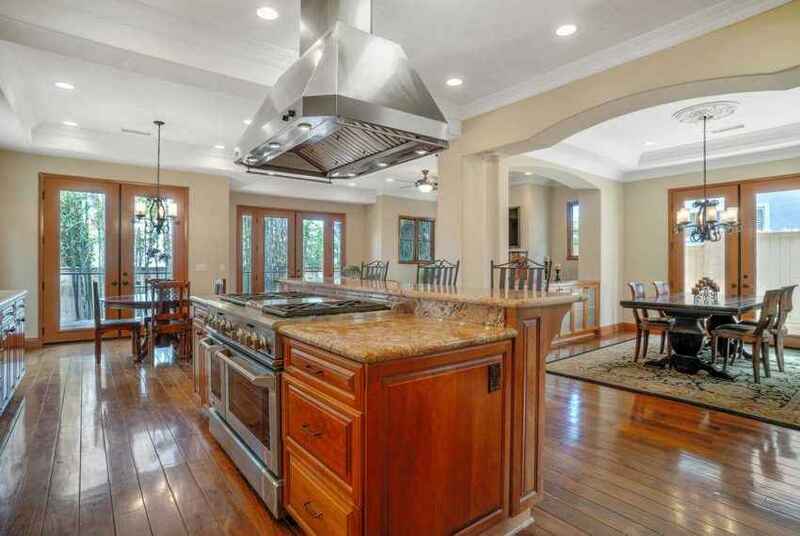 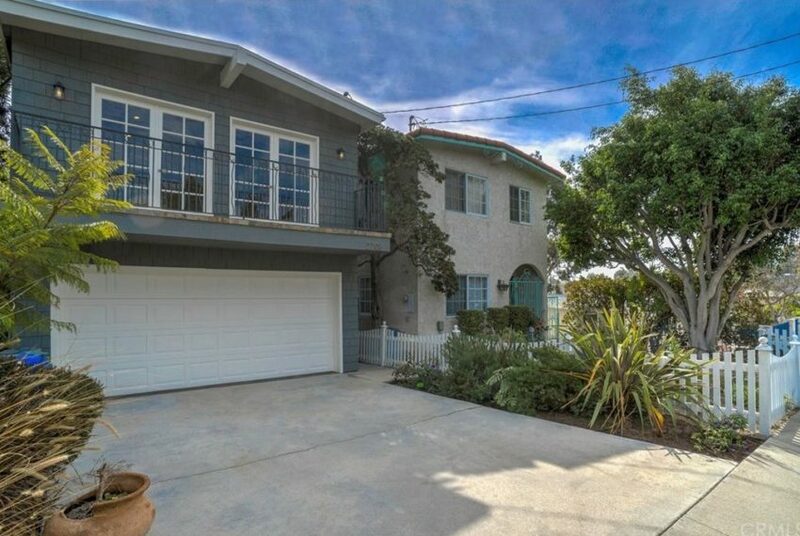 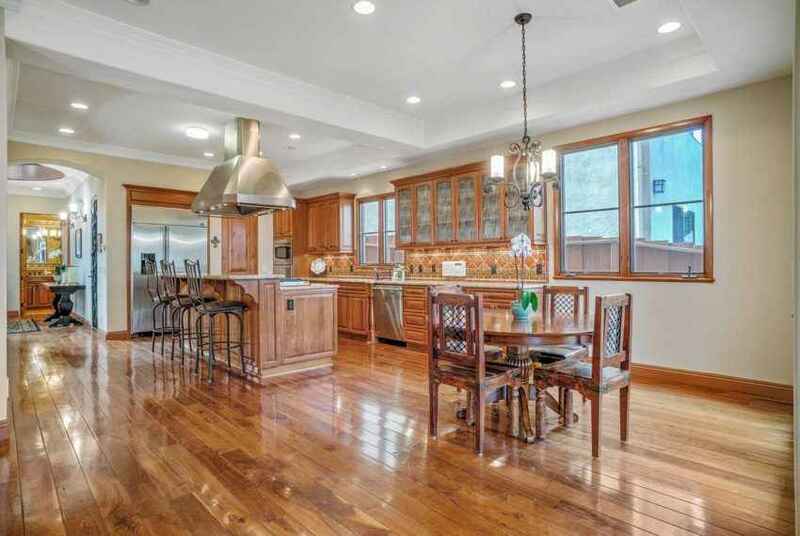 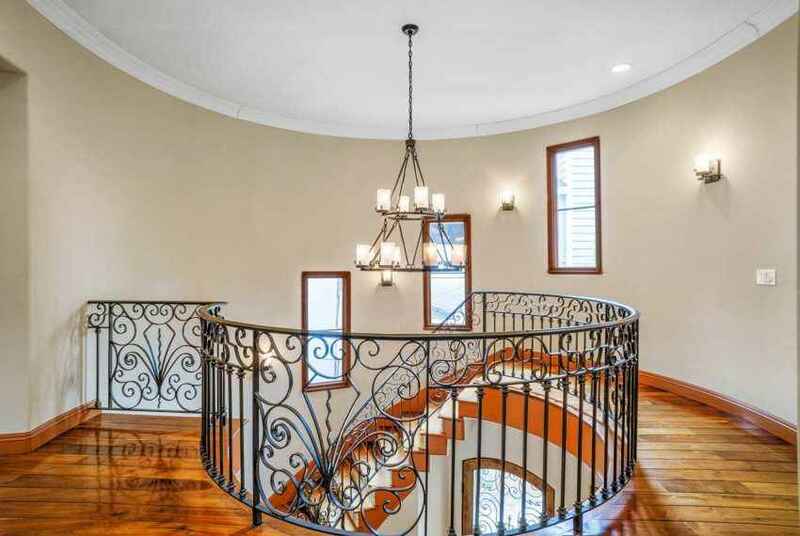 Arched doorways, paneled doors and rare architectural details make this one special home. The open and expansive floor plan creates a flow for easy daily living and an inviting entertaining space. 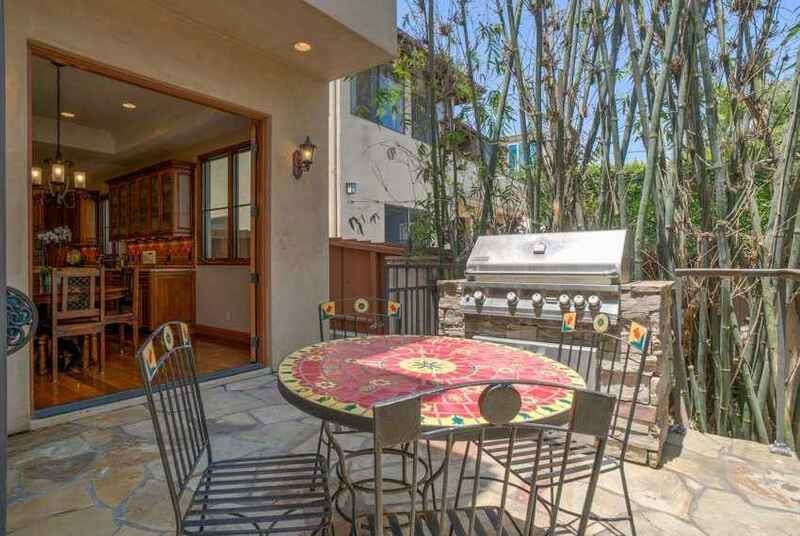 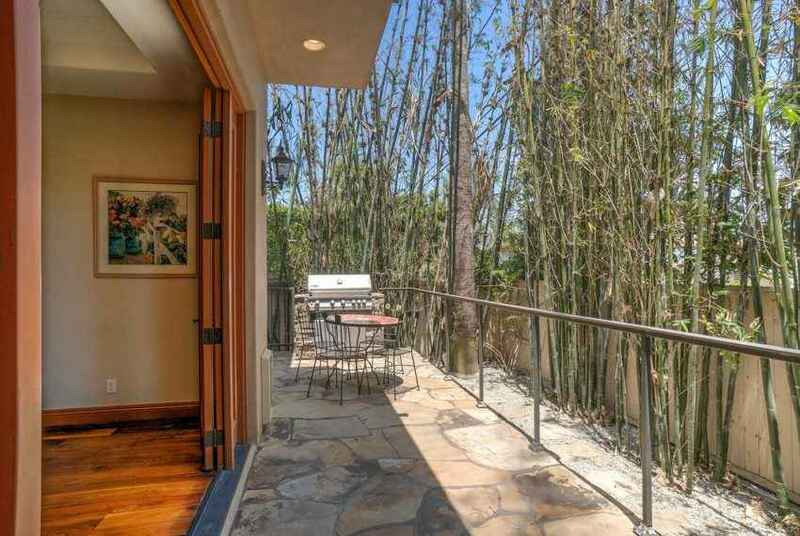 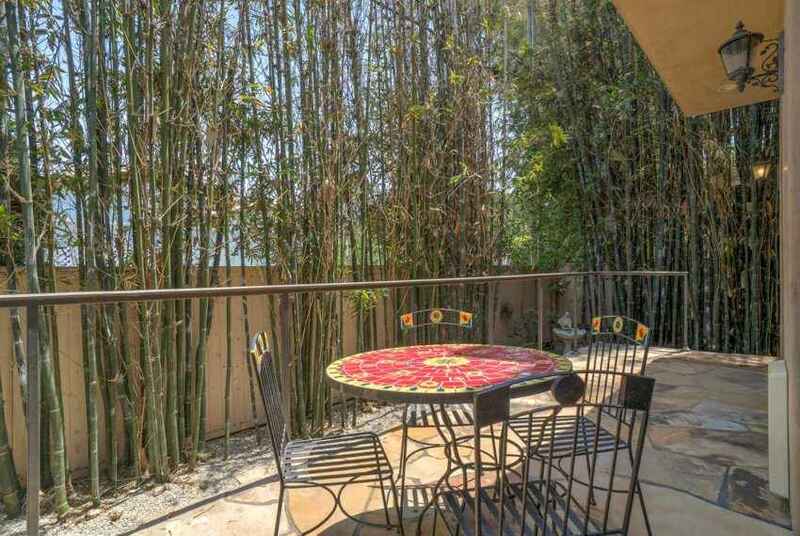 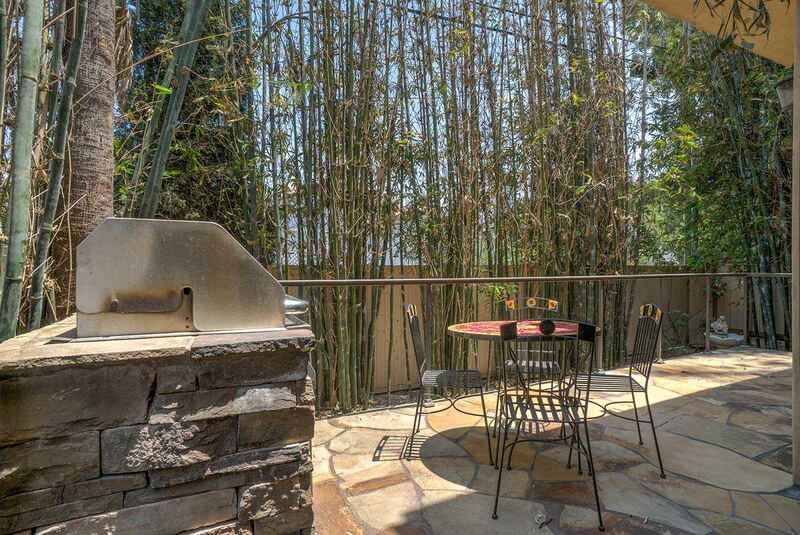 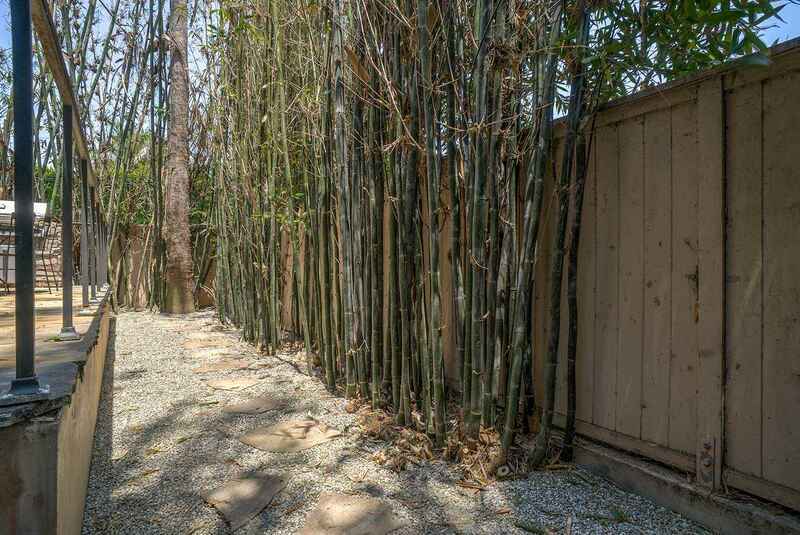 Enjoy alfresco dining on the paved stone patio with built-in BBQ while relaxing to the sounds of the breeze rustling through mature bamboo trees. 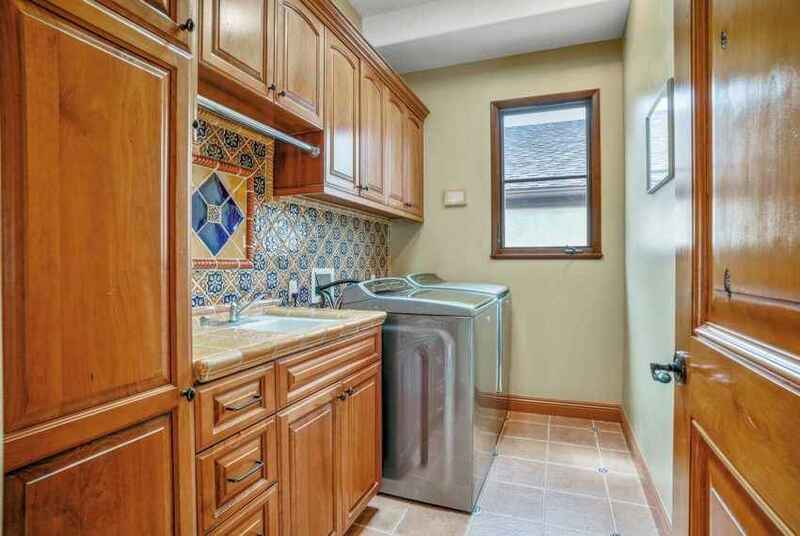 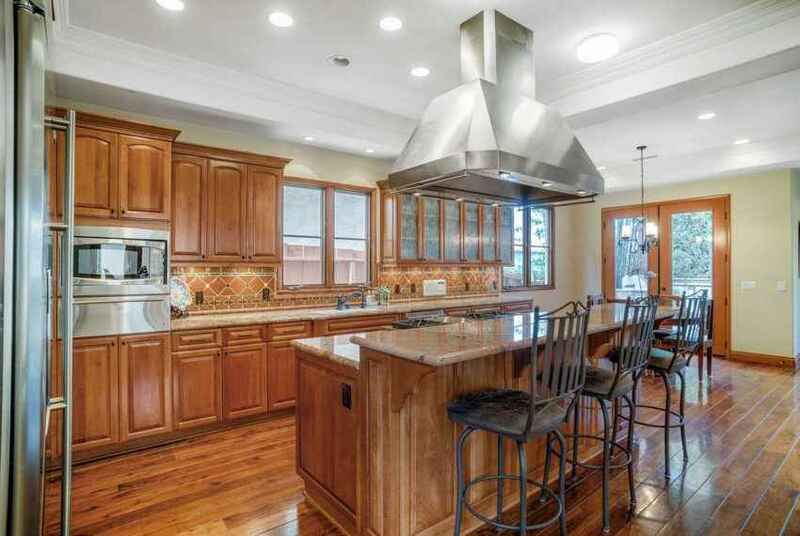 Top of the line appliances, large center island and an abundance of storage are sure to please even the savviest of chef’s. 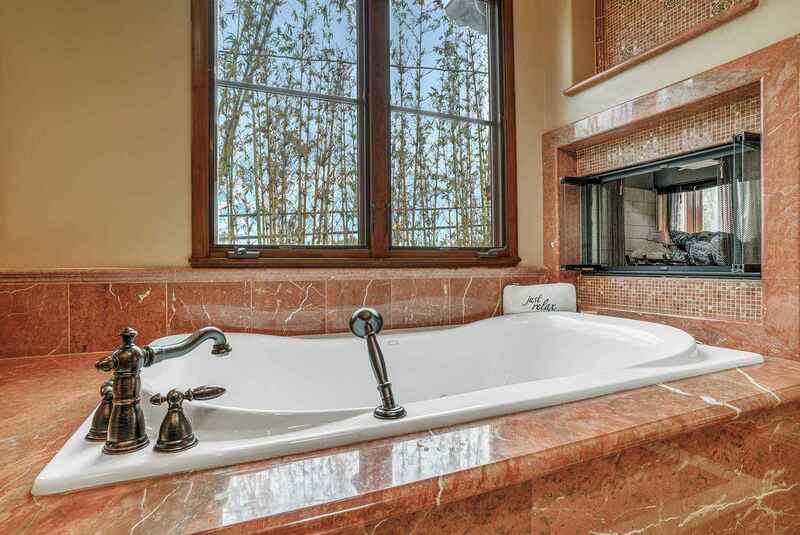 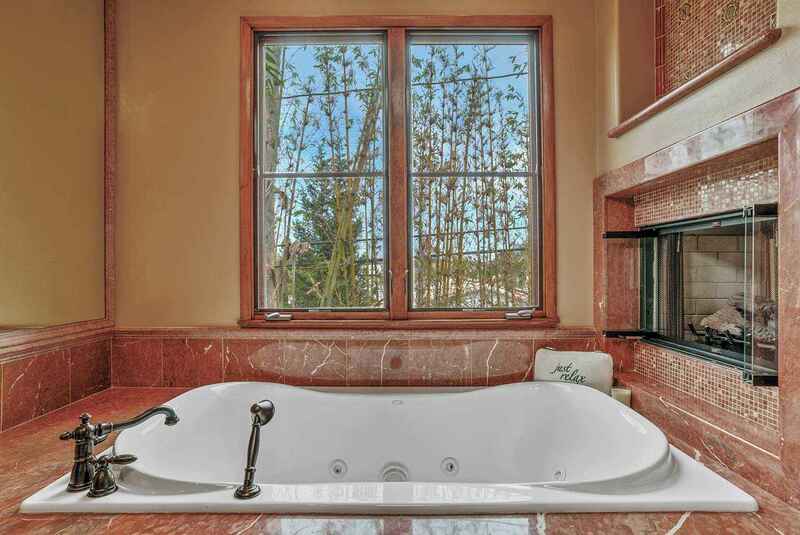 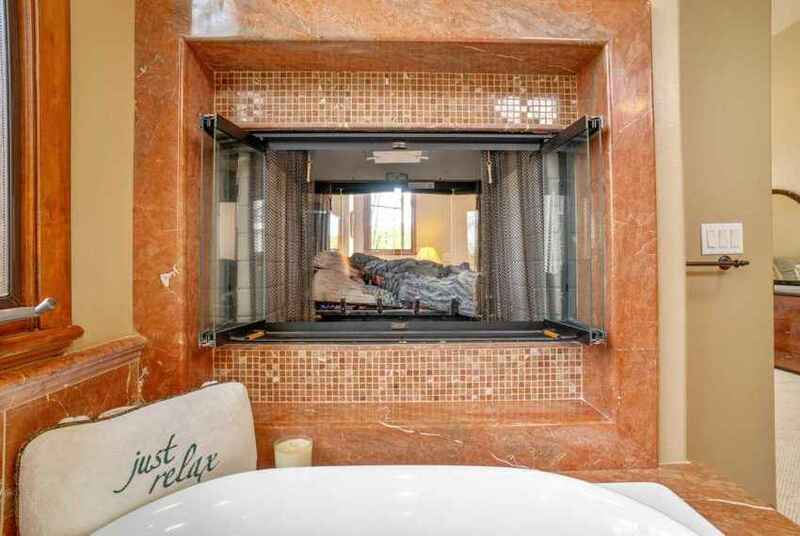 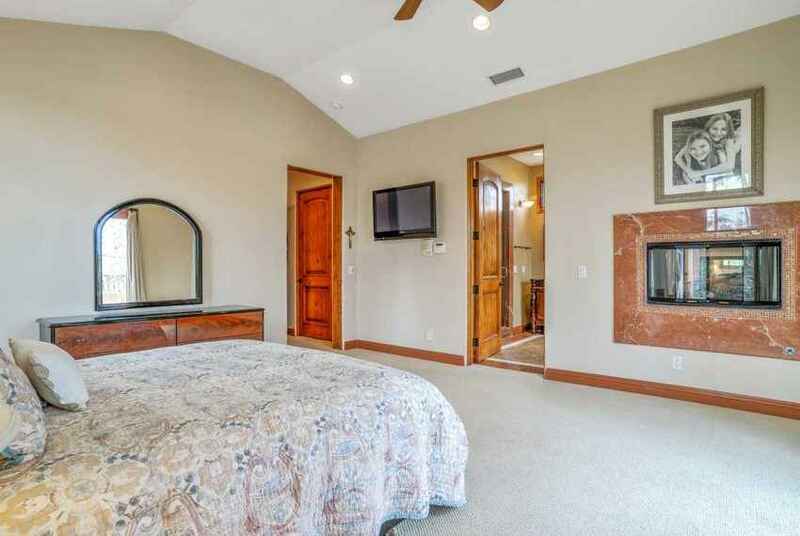 Imagine preparing for your day in your own personal retreat; appreciate an expansive Master Suite with walk-in closet, oversized tub and stone fireplace make it the perfect place to rest and rejuvenate. 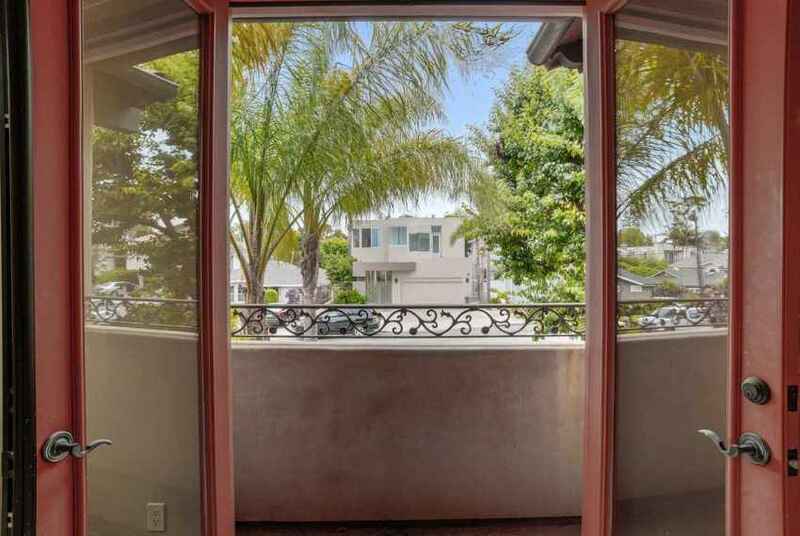 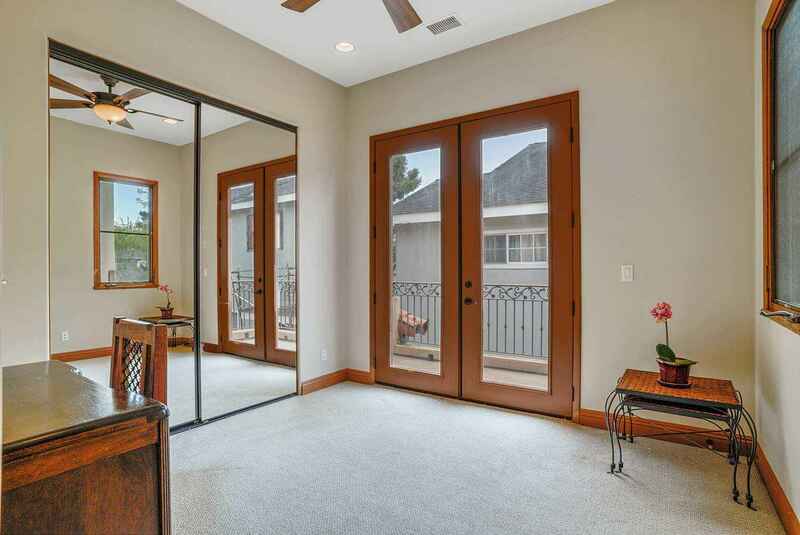 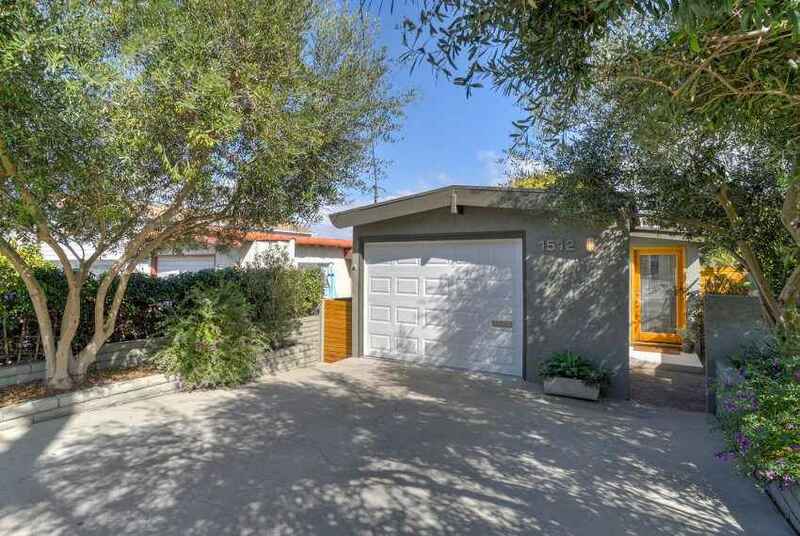 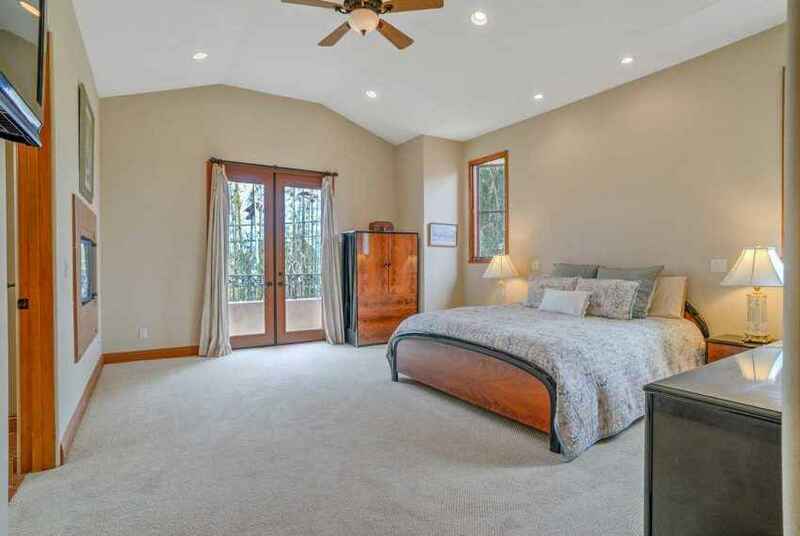 An abundance of fresh air and light flow through the space when you open the numerous French doors to the home; there is even a private balcony adjacent to the lovely Master Suite.